How to limit amount of recorded video? 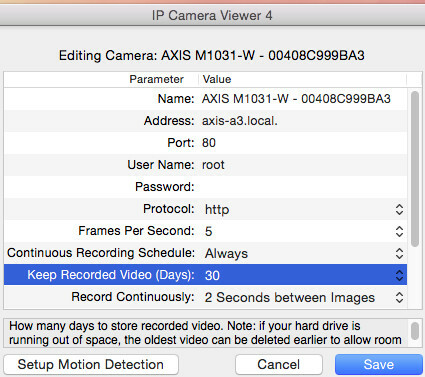 Adjust the line "Keep Recorded Video (Days)" to store as many days of video as needed. Or, adjust the previous line: "Continuous Recording Schedule". For example, if you do not want to record video from the camera, set this line to "Never" and etc.